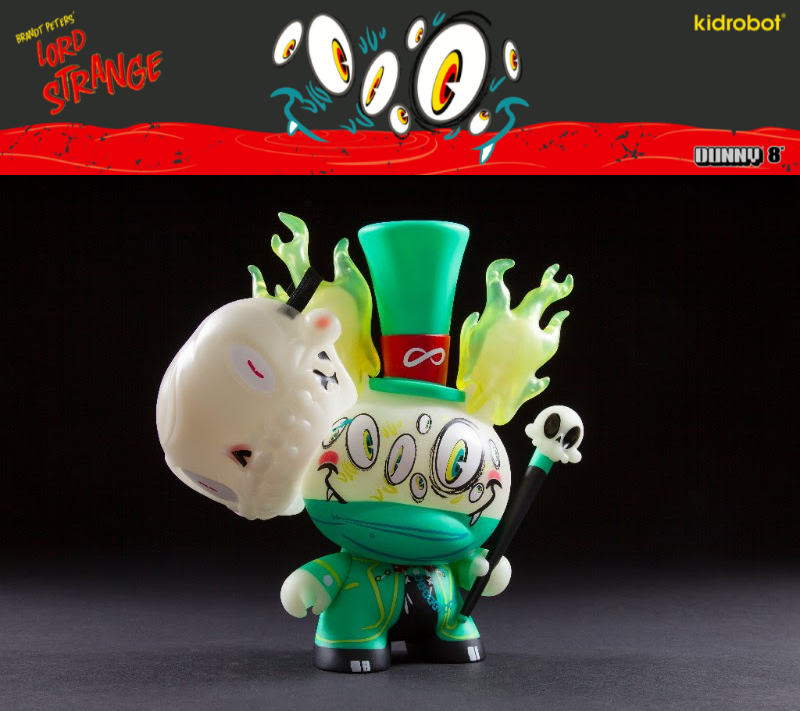 Brandt Peters collectors need to hurry over to Kidrobot.com and pick up this surprise third colorway of Peters’ awesome new Lord Strange 8” Dunny! The Kidrobot Exclusive Glow in the Dark Edition Lord Strange is limited to just 100 pieces and retails for $75. The Blot is a huge fan of this new figure and Brandt has done a fantastic job designing all three color schemes. Each one is better than the last!